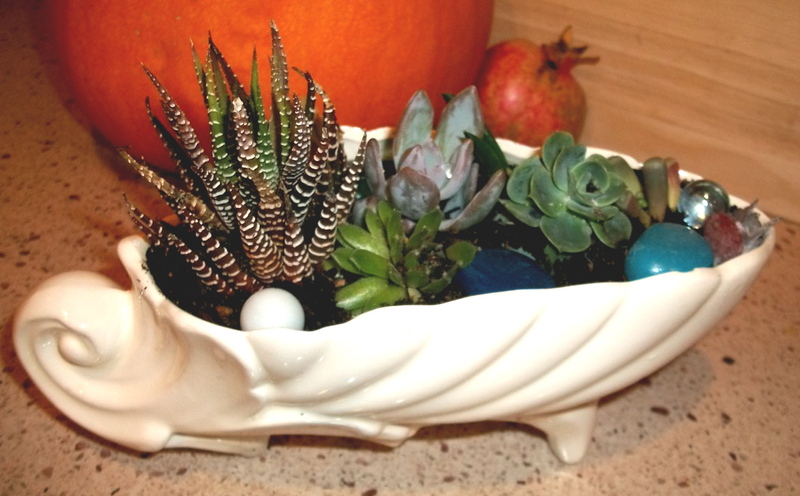 My name is Judi and I’m addicted to succulents… all together now, “Hi Judi”. It’s true. I’m hooked. I am in love with succulents. There is something magic about those puffy little plants. Each one is beautiful, unique and hearty. They come in all sorts of sizes, colors and shapes. They really are the perfect plant because they need very little water, can thrive in good or bad soil and reproduce easily. What’s not to love? 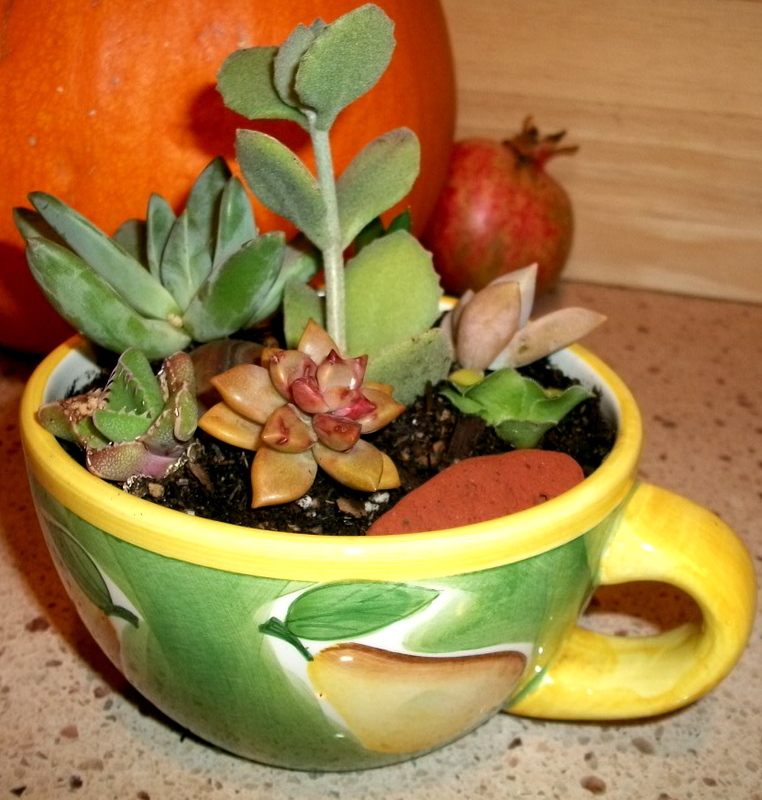 I’ve been making tabletop Succulent Tea Gardens out of stray tea pots, tea cups and bowls. I now find myself searching for new varieties in gardens shops and in yards around my neighborhood. I’m propagating the little guys in my back yard. I am truly enjoying creating these tiny gardens. There is something therapeutic about working with soil and live plants. On a creative level, it’s a lot like painting… matching up different colors, textures and shapes. I match each garden with stones, glass or marbles. I am embracing my new passion by pushing myself to prepare for the holiday Open Studios here in Benicia. I will also be doing an Open House with my friend Lorrie-Marie. I will also be making fun holiday hats… burner style with animal print fleeces and furs. For the first time in a long time… I am feeling inspired to create. This is a good thing. I’ll keep you posted.